At the Berkeley Clinic, we provide a number of non-surgical treatments. Wrinkle fillers have transformed over the years and The Berkeley Clinic are proud to provide our patients quality dermal Fillers in Glasgow. Our dermal filler Glasgow clinic offers a number of effective facial aesthetic and cosmetic treatments, which are available to book today. We have been providing cosmetic treatments for a number of years and now The Berkeley Clinic aesthetic suite offers aesthetics in state of the art surroundings. We are also Health Care Improvement Scotland registered (this is now a legal requirement and you should not go to a clinic that is not registered and approved) - making us one of the best cosmetic clinics in Glasgow. 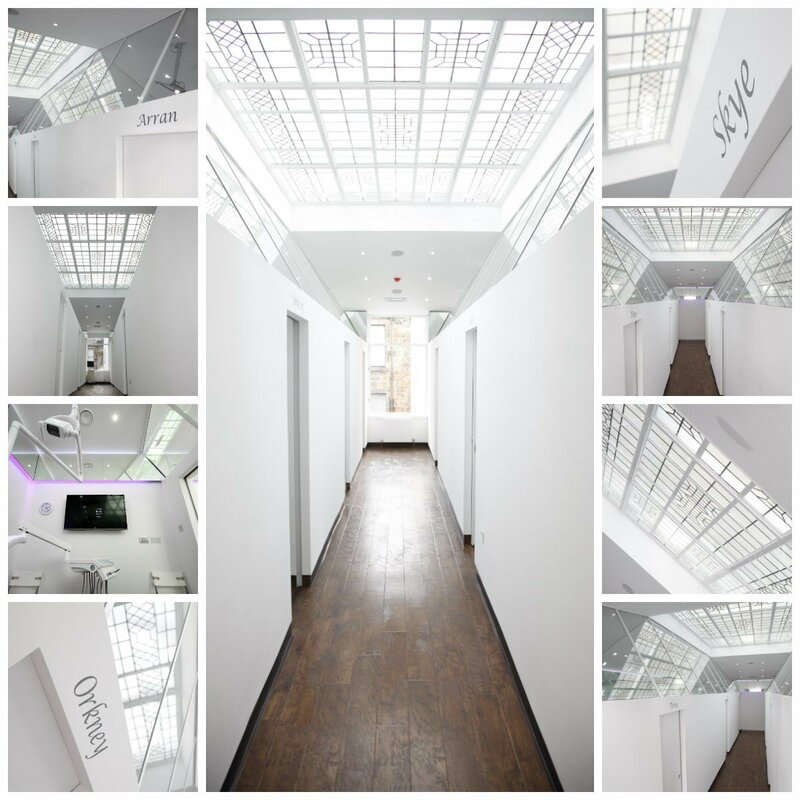 Our Dermal fillers clinic is situated between the City Centre and the West end of Glasgow with ample on-street parking available. Used to restore facial volume. Volumizes and plumps skin reducing the appearance of lines and wrinkles. Restoring and harmonising youthful facial contours. The emergence of hyaluronic acid (HA) fillers has revolutionised aesthetic medicine. HA fillers consist of a structural molecule that is found in healthy skin. It replaces volume by attracting water into the injected area to increase skin turgor resulting in fuller, plumper skin. Depending on the product used, results can last 6 months to 2 years. In addition, in the unlikely event that the need should arise, HA fillers can be dissolved. Face to face consultation, pre-treatment photos and in-depth discussion is required to identify and treat volume loss of the skin. The application of fillers is extensive and correct placement by an experienced practitioner is key to successful results. Used to replace the ‘scaffolding’ that is lost in our mid face as we age. Has an overall lifting effect, restoring balance and facial contours. These lines can develop as we age as a result of strong facial muscles and drooping of the midface (ptosis of the SMAS). In the right individuals, HA filers will provide mechanical support, visibly reducing sagginess. Down turning at the corners of the mouth can make the face appear to be sad or harder. They are usually associated with deep nose to mouth lines. These folds are usually formed by the increased action of muscles which pull down the corners of the mouth as well as the descent of midface volume. HA fillers can restore volume resulting in a softer more youthful appearance. Our trained dermal fillers practitioners are medically trained. As injectable fillers are one of the biggest successes in modern cosmetic medicine, we are happy to announce that we are bringing a number of non-surgical treatments to our wrinkle filler Glasgow clinic. Thanks to modern cosmetic treatments, our team of medical experts can restore facial volume using a number of wrinkle filler treatments including anti-wrinkle injections and dermal fillers in Glasgow. These incredible treatments can be applied relatively quickly. The injection which is used reduces the appearance of lines and wrinkles and leaves patients looking fresher, younger and restored. Dermal filler can also be used to add attractive facial contours. Lip filler and facial fillers in Glasgow are now extremely popular. Remember that choosing the right facial filler is the first step. Once you have had a consultation with a dermal fillers Glasgow practitioner, they will help you to decide on the treatment which will suit your face the most. The Berkeley Clinic is operated by an expert medical and when it comes to injecting fillers, experience and judgement are vital. Book your treatment with one of our medical practitioners means you will be in the best hands. At the Berkeley Clinic, we offer two main types of treatments using dermal fillers Glasgow: lip fillers and facial fillers. Fillers can be injected into the lips in order to achieve a plumping effect. Fuller lips can give a more youthful look to the mouth. Facial fillers, on the other hand, allow the volume to be restored to specific areas of the face and reduce the appearance of lines and wrinkles. We use two different filler products for our treatments here at the Berkeley Clinic: Juvederm and Restylane. Both substances are extremely safe to use and provide patients with a subtle yet effective enhancement of the face. These filler products are best used for lip lines, lip augmentation (lip filler), and nasolabial folds. This technique follows a multiple region strategy correcting deficiencies and volume loss in the face holistically. The back of the hand is the area most visibly affected by ageing, second only to the face. Volume loss is often accompanied by thinning of the skin in this area. HA preparations will restore volume and smooth creasing. Dermal fillers in Scotland are now in popular demand. In the past, the media has been critical of those who have poorly applied filler. At the Berkeley Clinic, we believe that facial fillers should always look natural. Our team of cosmetic practitioners has been working with injectable for a number of years and not only know how much to inject but more importantly where in the face to inject it. Are you contemplating facial fillers but are unsure which would be most suited to you? Here is a selection of the area’s which we will usually inject. This is only a guide; however, it may help you understand if you are eligible for any of these treatments. A treatment which is often associated with facial fillers is nose to mouth line fillers. These lines (nasolabial folds) are extremely common and many of our patients have chosen to have this part of the face treated. The ageing process can also leave us with lines that run from the corner of the mouth down towards the chin. These lines can be noticeable and are known as marionette lines. At the Berkeley Clinic, we can treat these lines fairly easily, reducing their appearance and restoring facial volume. Lip fillers are one of our most popular treatments as women of all ages are opting for lip filler treatment. Whether you have always had thinner lips or a looking to top up your natural shape due to age, we provide lip fillers in Glasgow at The Berkeley Clinic. Dermal filler is one of the most advanced treatments in modern aesthetic medicine as it allows clinicians to rejuvenate the face with a fairly quick and simple injection. The filler restores facial volume and in doing so reduces the visibility of lines and wrinkles. Dermal fillers are known to be one of the best non-invasive, anti-ageing treatments available. At the Berkeley Clinic, we are expertly trained in volume restoration and have the skill and precision required to ensure a safe and successful treatment. One of the greatest benefits of having dermal fillers at the Berkeley Clinic is that the treatment can be reversed if need be. Hyaluronic acid based products, such as Juvederm and Restylane, are completely dissolvable. This means that should the need arise, dermal fillers can be removed. Although, we do advise patients wait until after the treated area has settled before making their decision. The most sensitive area of the face to inject is the lips. As a result, the lips tend to swell more after a filler treatment, compared with other areas. Most of the swelling will go down after a few days, however, it can take up to two weeks to settle completely. For this reason, we ask that each patient waits for two weeks to pass before they request the treatment to be reversed, should the circumstance arise. If you are interested in any of these treatments, call us today or leave an enquiry on our Contact Us page. Why Are Facial and Wrinkle fillers so popular? Did you know that facial fillers are the second most commonly requested aesthetic medical procedure worldwide? Wrinkle fillers are also at the top of the list. These days’ patients are looking for treatment which they do not need to go under-the-knife for, therefore, the cosmetic industry has seen a rise in “non-surgical facelift” procedures. Another reason why dermal fillers are so popular is that they can be used to specific areas of the face. Patients can have fillers applied to improve lip fullness, nasolabial lines or irregularities in the face. Dermal fillers/wrinkle fillers are extremely effective for those who want to reduce the appearance of ageing. As mentioned, they can also be used to add volume and create facial contours. Our team would be happy to talk you through the procedure and how it works. Every patient that walks through our doors is completely different, that is why we always offer a consultation before we go ahead with any aesthetic treatment. We are medically trained which means we will always recommend the best and most effective treatment plan. Get in touch with our facial aesthetics team to book your cosmetic consultation. Who can not have non-surgical treatments? Women who are pregnant or breastfeeding should avoid treatment during this time. If you have any diseases, involving nerve damage or muscle weakness, this type of treatment is not recommended. To book your consultation, now only £50, email us or fill in the contact form below. Or alternatively, phone one of our care team.